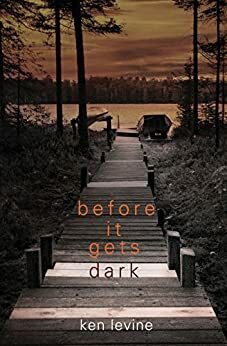 Ken Levine’s second novel, Before It Gets Dark, powerfully explores what happens when a person’s expectations for a better life are raised, only to have those expectations dashed by a shattering event that illuminates how fragile life can be. Boyd may be nearly seven feet tall, but everything else about the socially awkward custodian is ordinary. At the factory in a small southern town where he works, Boyd happens upon pregnant and lonely Marcy Travers crying in a bathroom stall. The novel traces the tumultuous lives of Marcy and her sister Tanya with their troubled young mother Jo. As Marcy grows to an adult, she strives to avoid her mother’s mistakes, yet finds herself about to repeat them before Boyd comes into her life. Their chance meeting transforms Boyd’s unexceptional life into one with purpose and meaning and provides Marcy the stability she craves. Boyd creates a bond with Marcy’s daughter Katie, and through her he becomes the father he never imagined he could be. But his new life comes crashing down in a momentary spasm of violence that sets him off on an unpredictable journey with Katie that will forever change all of their lives. The post <p style="text-align:center;font-weight:bold;">An engrossing account of middle America and the not so ordinary lives of an awkward custodian and a pregnant, lonely woman… Ken Levine’s <em>Before It Gets Dark</em></p> appeared first on Kindle Fire on Kindle Nation Daily.